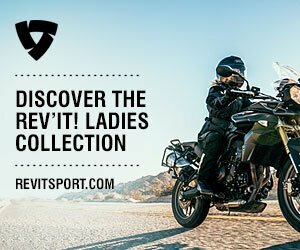 As International Female Ride Day, the largest campaign for women riders, expands, so will our diversity in providing the iconic, symbolic logo! We have translated it in French, Italian, Polish and Dutch and this year, added Hungarian. 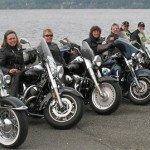 This simply underlines the camaraderie among women and motorcycling around the world as they band together to participate in the worlds only synchronized women’s ride, International Female Ride Day. We feel it is equally important to relate to each others diverse cultures and become more familiar with their histories, specific to women’s roles and developments. In that, enjoy understanding more about our Hungarian female motorcycle riders and the culture that has brought them to this day. The roles of women in Hungary have changed considerably over the past 200 years. In the Kingdom of Hungary, discourses on women’s roles, rights, and political access, along with feminist movements, have developed within the context of extremely traditional gender roles, and more recently, Communist doctrine on women’s place in society. The post-communist era in Hungary has produced a number of organizations to address the needs of the nation’s women and mobilize female voters, and several universities now have gender studies programs. The first women’s organization to form in Hungary was the Pester Women’s Charitable Society, founded in 1817; by the end of the nineteenth century there were several hundred similar organizations throughout the kingdom, although, for the most part, they had little involvement in politics. When women gained access to secondary education in the mid-nineteenth century, the large presence of active women’s groups helped win the students a more academic curriculum, rather than one that focused on being a wife and mother. In 1895 women were first allowed to study philosophy, medicine, and pharmacy at the university level. In addition to the advocacy of women’s groups, these advances were due, in part, to the Hungarian push to elevate its status as a power in the Austrian-Hungarian Empire, and present itself as an increasingly modernized region. In 1904, Rózsika Bédy-Schwimmer (Rosika Schwimmer), a pacifist and women’s rights advocate, founded the Association of Feminists. The group pushed for women’s suffrage and helped bring the issue to a parliamentary vote on three separate occasions, although each attempt was unsuccessful. The Men’s League for Women’s Suffrage was founded in 1910, and in 1913 the 7th Congress of the International Women’s Suffrage Alliance met in Budapest. The Association of Feminists worked closely with Budapest city council to establish a women’s aid office and day care centres; they also published a journal on women’s issues that helped to raise public awareness of women’s concerns. Other groups active in the early twentieth century included female members of the Social Democrats, and the National Federation of Women Clerical Workers, which sought improvements in the rights of female professionals. We are so incredibly enthusiastic about Hungary’s continued women rider growing attendance for International Female Ride Day. As we ride, we celebrate!